Bodies in Urban Spaces will take audience members on a mile-long adventure through Sydney's center. This moving performance is choreographed by Austrian dance-maker Willa Dorner and will feature a group of dancers from Sydney Dance Company. 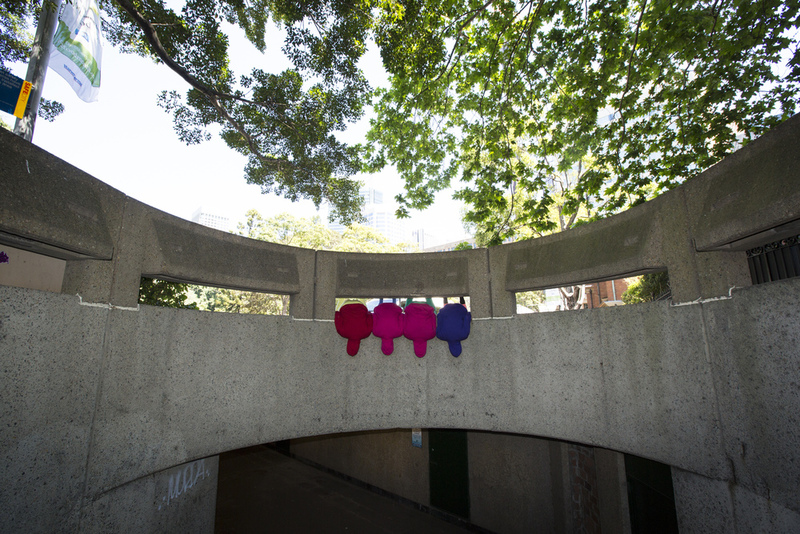 The route has been mapped by Dorner, the City of Sydney, and curator, Justine Topfer. The performers lead the audience on an entertaining journey utilizing public and semi-public spaces as their stage. 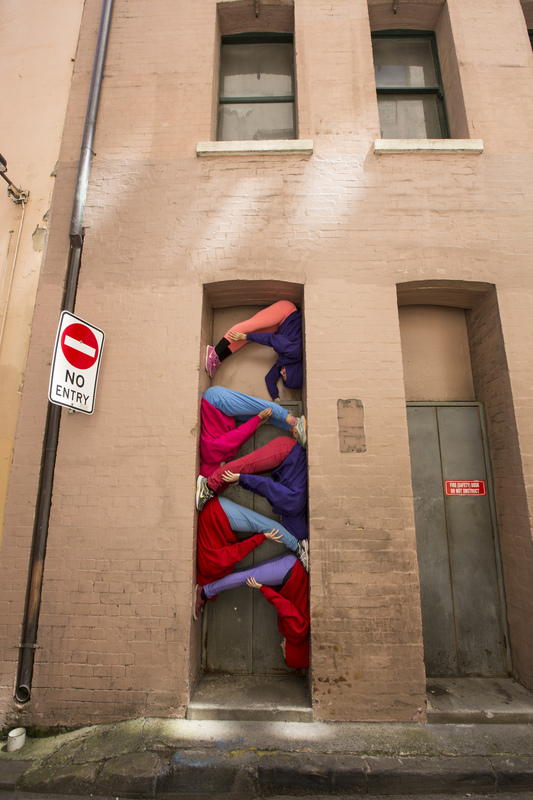 Along the way, they create a chain of living sculptures, built from the dancers’ bodies existing temporarily in a doorway, on the side of a building or on the sidewalk. Spectators will have the chance to view performers as they test the limitless physicality of the human body, squeezing human bodies into nooks and crannies, ultimately transforming a once vacant space into a temporary art installment. Two 90 minute performances on October 9 and 11, 2014, will weave through Sydney, as a finale to Art & About 2014. For more information, please check out the event schedule. All images courtesy of Jamie Williams.